Maybe you are running around crazy getting last minute school supplies for your kids, or you are finally taking a deep breath after a long summer as your kids get on the school bus. No matter how hard we want to resist believing fall is around the corner. For some that brings great joy that cooler temps are approaching while others cringe at the thought of filled schedules and activities. 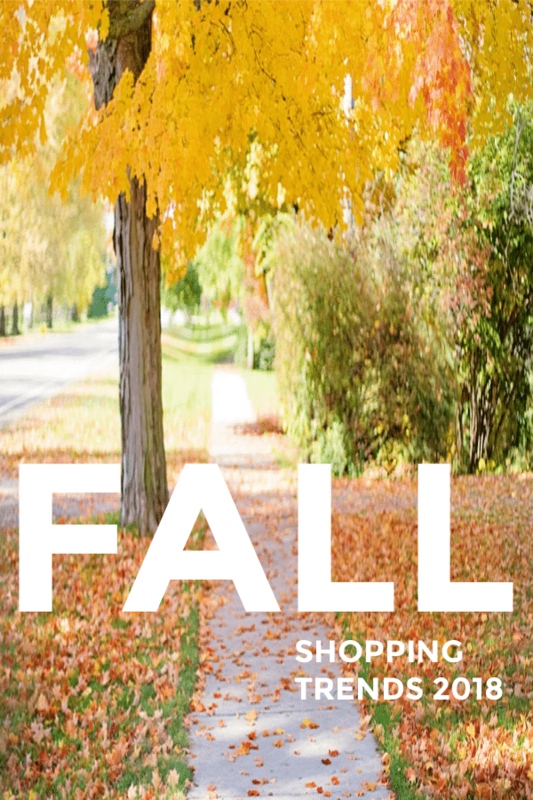 Either way we wanted to share some fall shopping trends for teens and their families. Thanks to the brands for sharing these fun fall shopping trends we hope you love too. There are affiliate links in this post. I receive a few pennies on the sale if you use the links. You may wonder why we are showing glue for Teens. 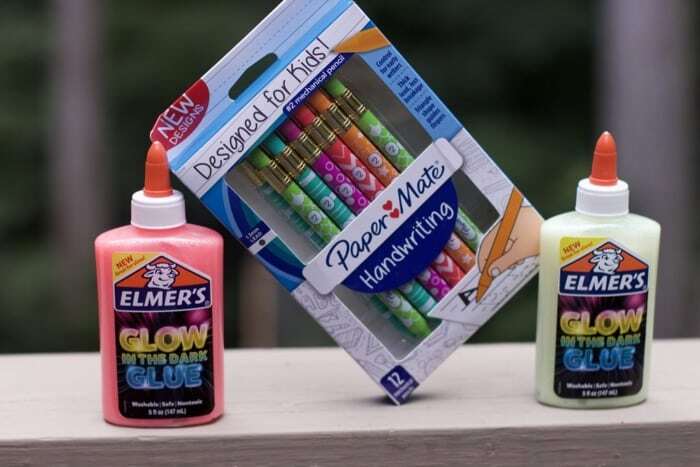 Believe it or not they still like making things like slime and Elmer’s Glow in the Dark Glue takes it one more step. Paper Mate Handwriting Pens and Pencils for little siblings or babysitters can pack them in their babysitting activity bags. Fall Shopping Trends for Teens and Their Families. My teens can go through a gallon of ice cream and a bag of chips without even realizing they did it. Here are some great portion control snacks that they will love? Stock up on Snacks for work or school lunch boxes: Salsa and Tortilla Chips snack packs. 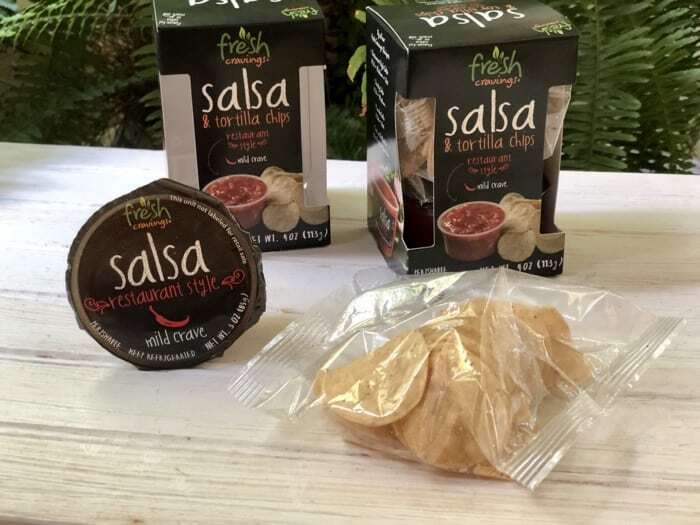 Fresh Cravings snack packs bring excitement to kids’ school lunches, curb hungry after-school appetites, and also offer a healthier snack option for busy parents who are always on the ‘go.’ My teens are too lazy to take out the chips and salsa and pack them for a snack, this is the perfect alternative. Made with fresh vine-ripened tomatoes and crisp, hand-picked vegetables, along with zesty peppers and spices, Fresh Cravings salsa is never cooked, which gives it a fresh authentic taste. These snack packs come in Fresh Cravings’ most popular recipe, Restaurant Style, in Mild heat. They include just the right amount of tortilla chips for it to be a nourishing treat without worrying about portion control. They are sold in Walmart stores for $1.78 and can be found in the produce section. Your kids won’t eat a full pint of ice cream when they can savor individual mochi ice cream bites. The newest craze in frozen treats. My/Mo Mochi Ice Cream is a colorful, gluten- and rBST-free snack made with a scoop of premium ice cream wrapped in pillowy rice dough. At just 110 calories per ball, it is the perfect, portion-controlled summer treat. The original offering comes in 8 delectable flavors and we’ve also recently launched an “inside out” version AND a vegan line made with cashew cream. So, there’s something for everyone even moms who might need to hide these from their hungry teens. Is your teen off to college or just starting to drink coffee? More likely it’s the parent that needs to coffee to wake up in the morning trying to stay up as late as your teen. Whether it is cold or regular brew coffee, K-cups is the way to get the most variety in your kitchen. College dorms are the perfect place for a individual coffee brewer. Try one of these great coffees for a great start to fall. Bringing a whole new level ofconvenience and overall quality, each pod delivers a consistently smooth flavor, whether enjoyed hot or cold. Each pod features the perfect portion of cold brew concentrate, instead of the grounds you find in traditional pods. Simply peel open, pour over ice, and add water to enjoy cold brew wherever you are. Or, pop the new liquid pod into your single-serve brewer to enjoy a less bitter, less acidic and much smoother cup of coffee. No preservatives, additives, or coffee derivatives. Just great tasting cold brew available whenever and wherever you are. Available in four varieties: Colombian, Ethiopian, Sumatran and Decaf. Be sure to enter to win a Month Supply by scrolling to the bottom of this post. Do you enjoy flavored coffee? 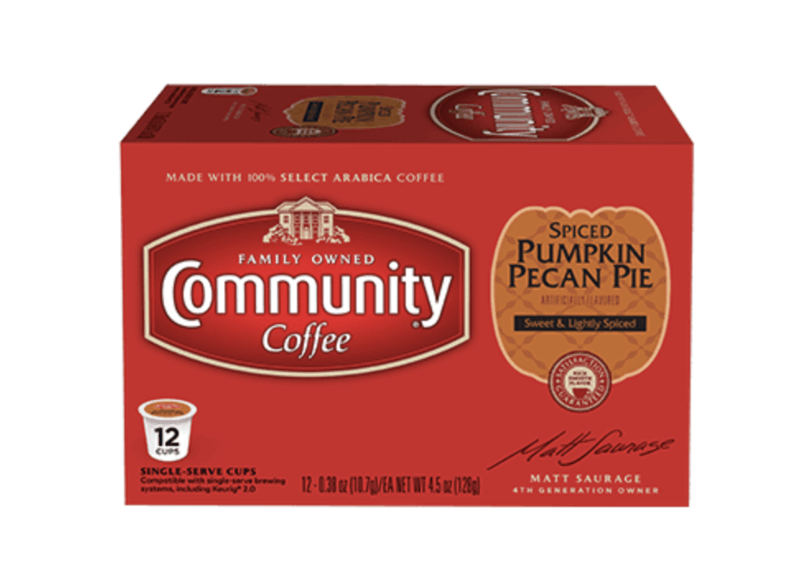 My husband and I differ about this so I am excited to start my fall with Community Coffee Company’s newest seasonal blend: Spiced Pumpkin Pecan Pie. Made with 100% select Arabica coffee beans, Community® Spiced Pumpkin Pecan Pie offers a sweet, lightly spiced blend featuring hints of pumpkin spice and pecan pie. With a smooth and satisfying finish, this autumn-inspired blend is perfect for cool fall mornings, holiday entertaining or as an indulgent fall-flavored treat! I know the single serve pods will be my go to for an afternoon pick me up. Back to school means a lot of smelly sports equipment and kids, not to mention stressful carpool lines. 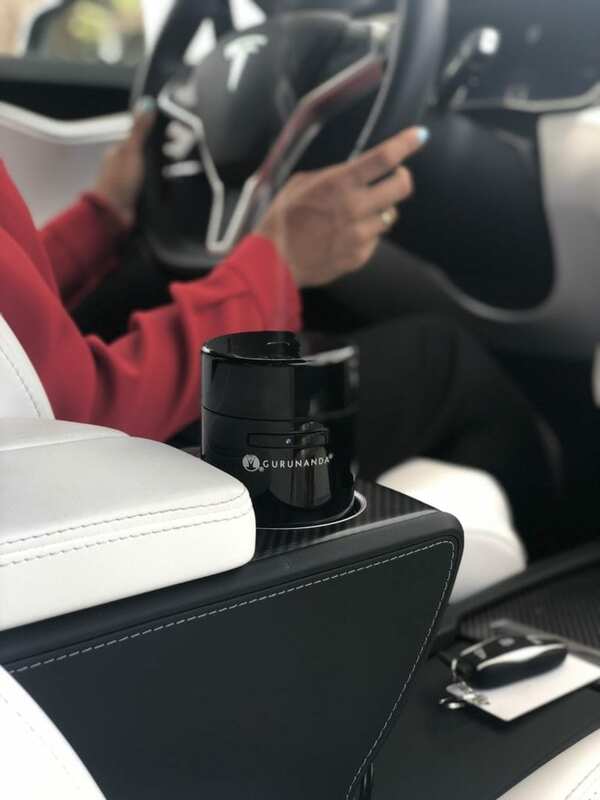 Bring the aromatherapy in the car with you to bring some calm into the car with a GuruNanda Mobile Car Diffuser. Plus you can fill them up with some of the brands Exotics Essential Oils. These products are available at www.gurunanda.com and Walmart stores nationwide for $19.99. If you already use a diffuser at home, now you can continue the use in the car where you might spend a lot of time. Teens are so hard to buy for. Ever sit in front of a display of gift cards for sale at a grocery store and just can’t decide what that person might like. If you have not heard of Happy Cards, you are in for a treat. Happy Cards, are a new line of curated gift cards featuring multiple brands so you don’t have to decide on just one brand gift card. Happy Cards are themed from gifts for teens, dining, snacks or happy student to name a few of the amazing options. Be sure to check out all the amazing choices and brands working together to make the ultimate gift card! ENTER TO WIN A $100 Happy GIFT CARD FOR TEENS at the bottom of this post! 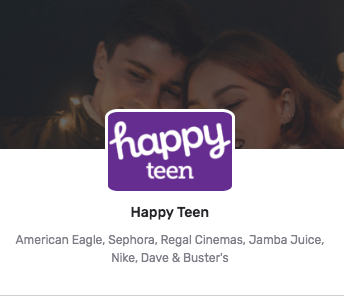 Use the Happy Teen gift card at any Regal Cinemas, American Eagle, Nike, Dave & Buster’s, Sephora, Jamba Juice or Barnes & Noble location in the US. SKIP THE STRAW Movement: If you have a teen you probably have heard these words. 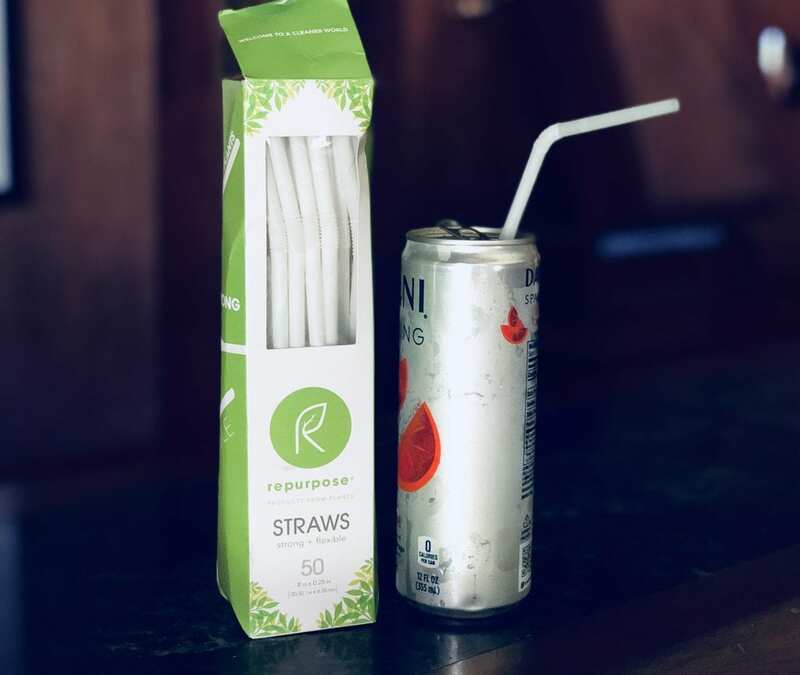 Compostable Straws from Repurpose. are 100% compostable and plastic-free bendy straws that are straw ban-approved. Strong and durable, they won’t crack mid-sip and are also BPA-free, chlorine-free, and nontoxic. There is nothing worse than a bad night sleep. While stress and diet can be a big cause of this, your pillow is an even bigger source of a not sleeping well. Since getting our CUSTOMIZABLE 3-IN-ONE SLEEPGRAM PILLOW, my husband has not thanked me enough. 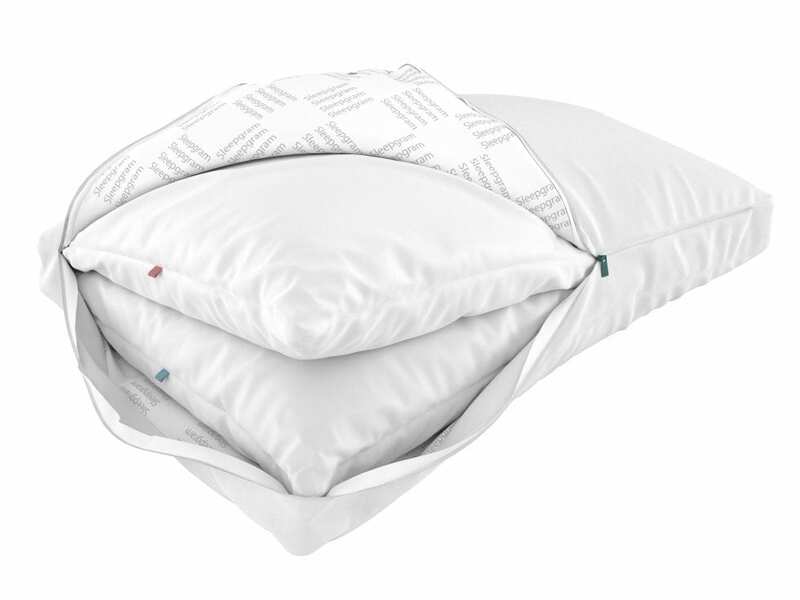 Designed with two differently sized internal pillows, Sleepgram is fully customizable and provides 3 pillows in 1 (soft, medium, or firm) for different variations of support inside a fluffy outer layer. Here is a picture of both pillows being used. • Customizable (change the pillow on a whim!) ADD or REMOVE inserts to adjust to your comfort, perfect custom-made pillow each time – for all sleep positions. Allows greater ventilation than adjustable foams – Promotes proper alignment allowing deeper sleep through the night. Don’t forget your favorite children this fall : Your four Legged ones! Now that the weather is cooler, you will probably spend more active time outside with your pet. Stock up on well-made treats this fall. 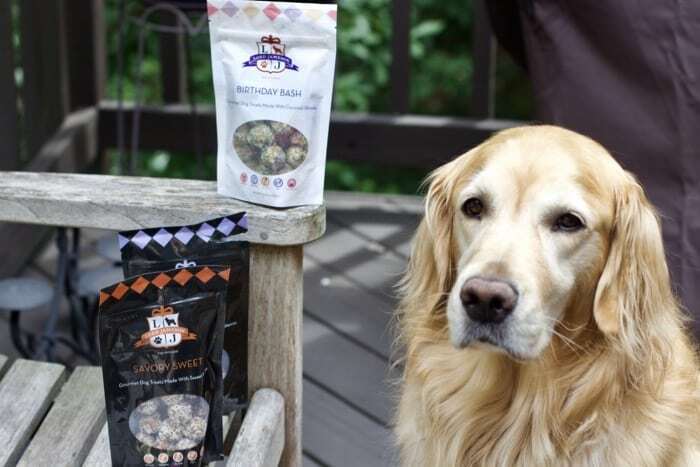 Fall is a hectic time for families and your pets can sense the change. My dog has gotten more nervous about our departures as she has gotten older. 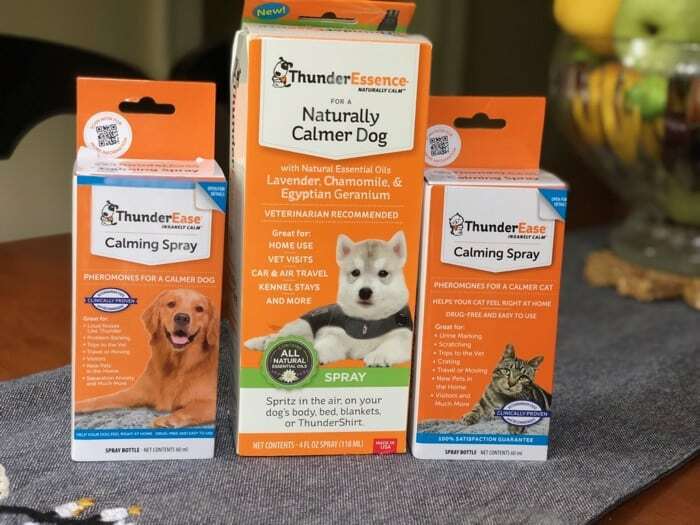 Thanks to the great brand that makes dog Thundershirts, they have come out with a new line of aromatherapy products for pets. ThunderWorks®, the creators of the ThunderShirt®, is working to educate pet owners (dog + cat) about how prominent pet anxiety really is, the less commonly known signs of anxiety and how to treat symptoms naturally before they worsen. 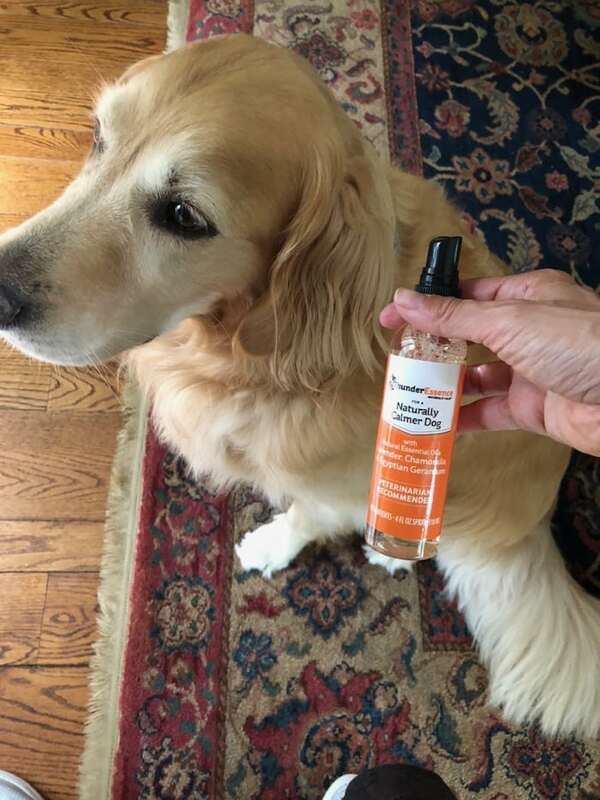 Check out these amazing anxiety reducing products that you can spray on your pets bedding before you leave for the day! I would use the gift card at Barnes and Noble! It is a hard decision at which retailer to use this card since there are such great options. I would probably go for purchasing make up at Sephora. I would use the $100 Happy Teen gift card at Dave And Buster’s. My teen loves that place. I would hold onto it till my son’s birthday then use it for him and his friends at Dave & Busters. I will use the card at Walmart. I like dark roast coffee. I would use the gift card at Barnes and Noble and Sephora! I would choose the Lightly Sweetened Mocha flavor. I think Regal would be the family choice, but each of us would have our own preferences. I would like the mocha flavor the best. I would use it Regal Cinemas and Nike. I would use the gift card at Dave & Busters for a fun night out! I would probably use the giftcard at Sephora. I will use it at Nike and American Eagle. I think I would use it at Nike. I would use the gift card at American Eagle. If I win I would use the gift card at Sephora, it would be so much fun. Lightly Sweet Mocha sounds good! 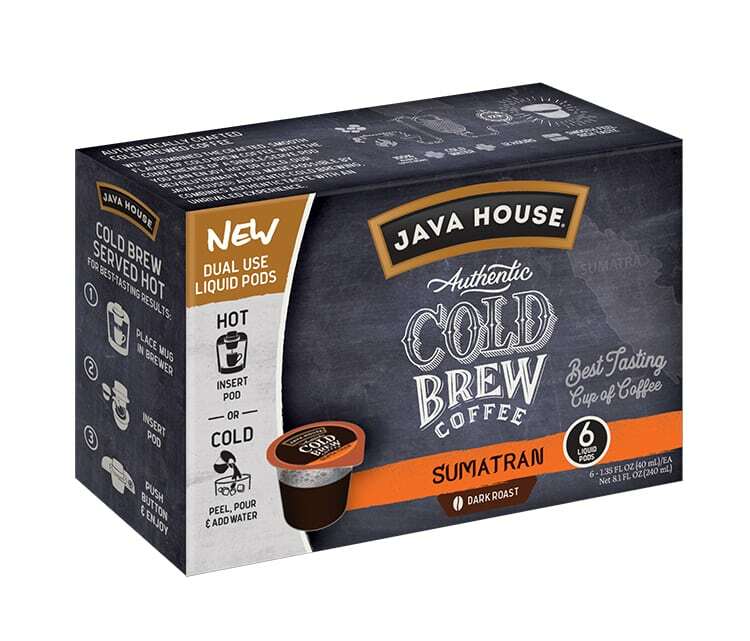 I’d like to try the Java House Lightly Sweet Vanilla Ready to Drink Coffee! I’d use the gift card at Sephora! If I won the gift card, I would use it at Sephora. My husband and I prefer dark roast coffee, so I would like to try the Columbian roast. My daughter would probably like the vanilla roast. I would probably use this gift card to shop at sephora for makeup products. I have a store that is really close to my house! I would use the gift card at Nike! I want to try the Decaf – Medium Roast. I would use the teen gift card at Regal Cinemas. I would use the gift card at a variety of retails, one of which I think would be Barnes & Nobles to get a couple of books. My hubby would like the vanilla ready to drink cold brew. I need some new books, so I would use it at Barnes and Noble.